Black holes not black at all? Let’s start with the beginning, shall we ? A black hole is a region of space in which the gravitational field is so powerful that nothing, not even light, can escape its pull after having fallen past its event horizon. That means that electromagnetic radiation (e.g. visible light) is unable to break away from the attraction of these massive objects. Hence the name. They were first described by Einstein’s general theory of relativity, which he developed in 1916. But now, a team of international scientists have used flowing water to simulate a black hole, testing Stephen Hawking’s theory that black holes are not black after all. While I fully understand and appreciate what Stephen Hawking has done for science, many of his theories are… not always as good as many people think. The media has a player a role here too. 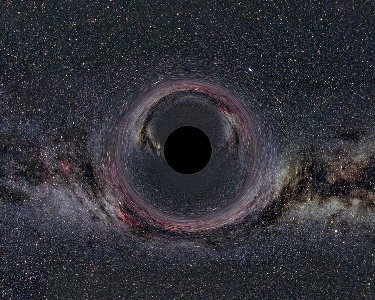 The researchers, led by Professor Ulf Leonhardt at the University of St Andrews and Dr Germain Rousseaux at the University of Nice, used a water channel to create analogues of black holes, simulating event horizons. “Flowing water does not create anti-particles, but it may create anti-waves. Normal waves heave up and down in the direction they move, whereas anti-waves do the opposite. Here’s a small video showing those phenomenae, and the rest can be seen here.